Bishard Homes was humbled to be a part of a street dedication today in Virginia Beach, honoring the first fallen officer of the Virginia Beach Police force. 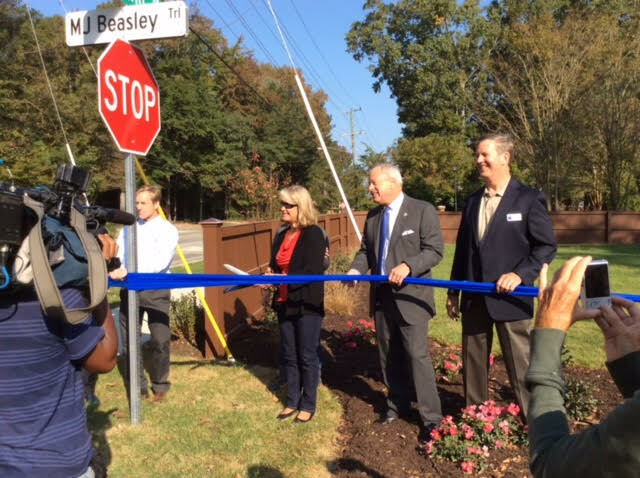 The street dedicated was named "MJ Beasley Trail," and is located at Holland Crossing, a Bishard Homes new homes community. 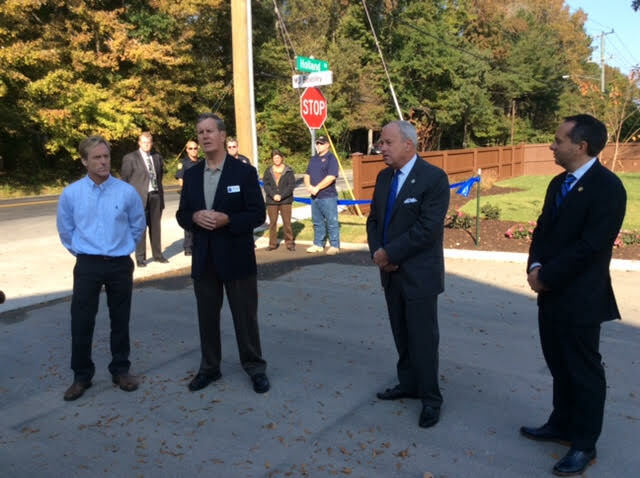 Present during the dedication ceremony was (from left to right) Steve Bishard of Bishard Homes, M J Beasley's great, great grand daughter Nancy White, Mayor Will Sessoms and Delegate Glenn Davis.